CUSP makes high school a possibility for bright poor rural Cambodian students who have no access to high school. By constructing and overseeing a boys’ and girls’ dormitory in Kampong Thom, 28 students from rural poor villages are now attending high school. 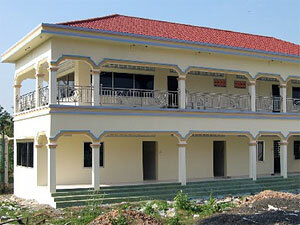 Housing for 28 students from rural villages so they can attend High School. Tuition and room and board for 16 university students. 4 university graduates this year. CUSP was started with the idea that poor, but bright rural Cambodian students can be helped to get a high school and college education. There is an exodus of young people from rural Cambodia (80% of Cambodia is rural) into the cities. Through academic scholarships, CUSP enables a bright rural student to attend high school, vocational school, and university. 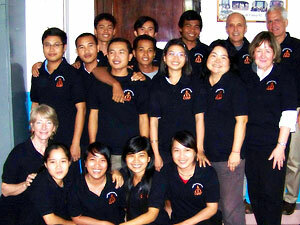 Currently sixteen scholarship students are studying at various colleges in Phnom Penh thanks to CUSP donors.